FfPP’s founder Al Weber died February 27, 2016 just two months shy of his 86th birthday. To say he will be missed is a serious understatement, not just by his friends and colleagues at FfPP, but by the many photographers he mentored over a long career as a teacher and commercial photographer. He always rejected the term “artist” being applied to him, but he would not object if he was referred to as a master craftsman of both black and white and color photography. Regardless of whether he was photographing children, the lines of architecture or the abstract contours of the earth as seen from an airplane, Al brought a consummate level of craftsmanship to all of his projects. Al was highly respected and sought out as a teacher. He taught in community and four year colleges and was a visiting professor or artist-in-residence at many schools. 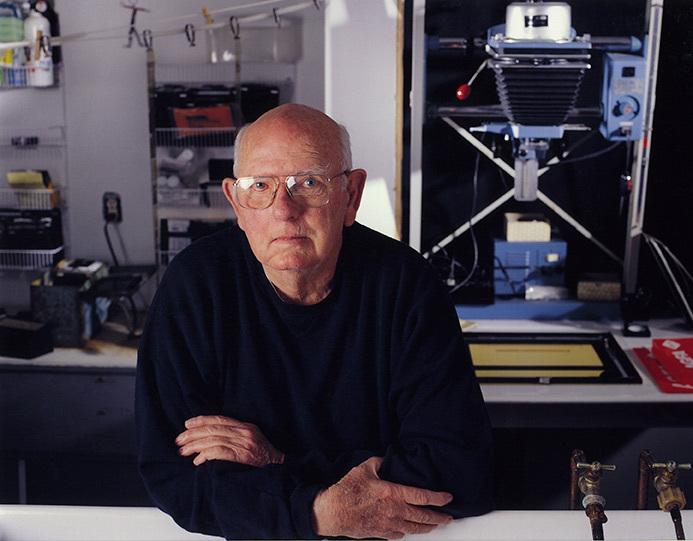 He pioneered the concept of photography workshops and worked as an instructor in the Ansel Adams Yosemite Workshops, Friends of Photography Workshops, UC Santa Cruz Extension Workshops and his own workshop program. He and his wife Suzie also owned and ran the Victor School in Colorado. Even though Al maintained the tough demeanor of the Marine Corps officer that he was in Korea, he was respectful and nurturing of those who came to him to learn photography. Those of us lucky enough to study with him knew that we were being challenged to learn and aspire to the high standards of craft that were so important to him and to our own future as photographers. One of Al’s passions during the later years of his life was his wish to educate and assist photographers or their heirs in organizing and preserving their photographic archives. FfPP, the Foundation for Photographic Preservation, was an outgrowth of that passion. We will miss his leadership and guiding spirit.